I just had one of the most incredible experiences of my life. 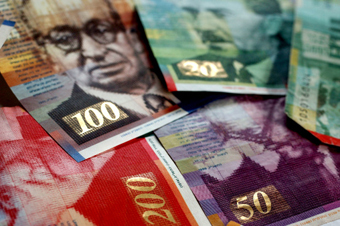 I got to go to Israel on Birthright… and discover the shekel. Now, one might think that there's a lot more to take away from Israel than the shekel, and that is very true. I also took home some Bamba. However, as the title of this article might suggest, I will be talking about my experience with said currency and not so much about the fantastic peanut butter flavored snack. For those of you that may not be familiar with the shekel, it is simply the Israeli form of currency. And what I must say first is that I love the exchange rate. Basically it's a little more than three and a half to one. So let's say I want to exchange 100 of my silly American dollars. In return, I get back nearly 400 beautiful shekels. I just quadrupled my net worth. I'm aware this isn't the actual case, but the feeling of getting so much for what feels like so little can only be provided by the generous Israeli exchange rates. But let's get to the root of what makes a shekel so great. At least, what makes a shekel so great to me. 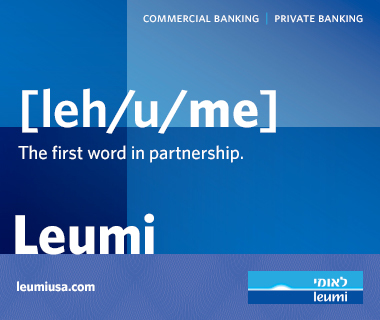 Just say "shekel" out loud. Seriously. Go ahead. Try it. It's a wonderful word, isn't it? Shekel. Just rolls off the tongue. Before Israel, I had only been to two other countries. Mexico, where they have the peso. Boring word. And then there's Canada, where they have the humorously named loonie and toonie. Funny, but true. And of course we have America with the dollar. Meh. The truth of the matter is that I feel the shekel is a lot more efficient. Because of the exchange rate, the lowest denomination is essentially equivalent to a quarter. We won't mention the awkward half shekel. Whoops. But imagine America where we have nothing less than the quarter. No more annoying loose change. No more agitating purchases ending in .36. It would solve the debt crisis. That's fact… based on my hopes and dreams. But, still fact. Then, from the visual point of view, the shekel is, in a word, beautiful. The 20, 50, 100 and the elusive 200 shekel bill all have different colors and designs and it's gorgeous. It makes you excited to have money outside of the idea of spending money. You almost want to keep the shekels and put them on your walls to liven up the place. Or better yet make a big rug out of them to tie the room together. I also love the fact that a 20 shekel bill is impossible to rip. Seriously, it's made out of thin flexible metal. Little-known fact I made up. In America, we keep trying to liven up our currency, but all we've ever done right is the sort of fun, patriotic looking 50. But honestly, other than in a birthday card from your grandparents, you never, ever have a 50. So it's like they don't even exist. Now don't get me wrong, I love the dollar. The sight of it, the feel of it, the smell of it, the sound of it, the taste of it. The anything of it. The fact that apparently 80 percent of circulated paper currency might have traces of coke on it. And I ain't talking about the refreshing carbonated beverage. No, no, no. Seriously, look this up. It's true. But I really wish the American currency system did have some sort of a revamp coming. I don't need pennies, nickels and dimes. I mean, if you don't want them I'll gladly accept them every single time, but they aren't truly necessary. Coming from the context of being in the United States, a pocketful of change is practically worthless. All it is good for is rounding out your purchases to make sure you don't get even more change. But having a pocket filled with the almighty shekels, I feel like a rich man. Yubby dibby dibby dibby dibby dibby dibby dum. And as I've said before, everything costs an even amount with the shekel. In American equivalency, everything would essentially end with 25, 50, 75 or 00. Much more simple. And how amazing would that be!? It would take away at least 50 percent of my daily stress. It would also give me time to finally figure out better topics to write about than why I like foreign currency. Sorry to say that is not the case, and so I apologize for this entire article. Thanks for reading.